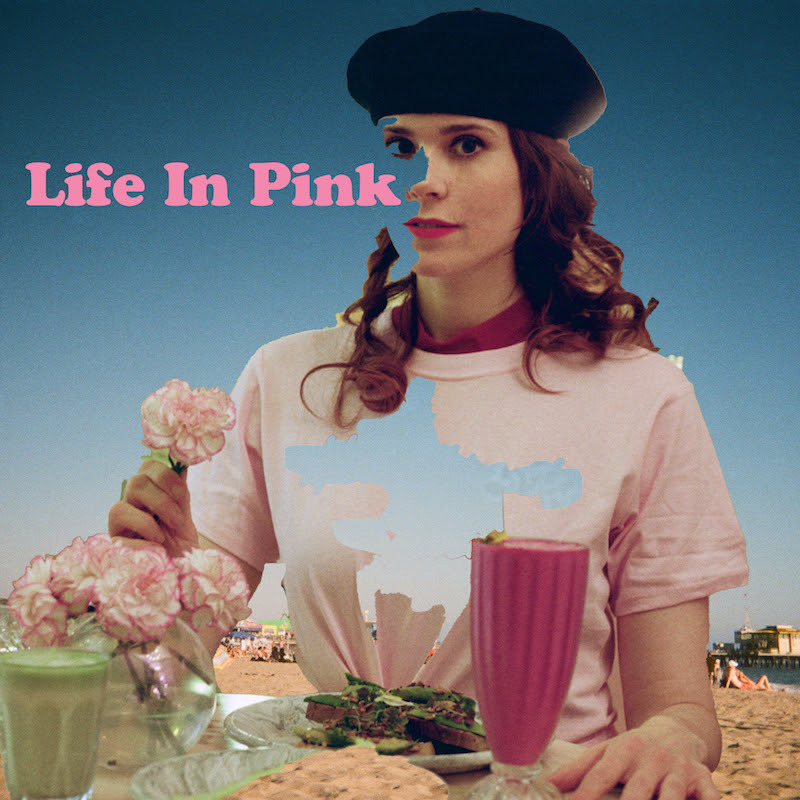 “Life In Pink” is a bittersweet blend of bubble-gum-pop hooks and driving garage rock, powered by Kate’s honest and affecting lyricism directly addressing her mental health. It is a brave, defiant and honest tune, from one of the UK’s most original songwriters. Although “Life in Pink” is a frank admission of Kate’s struggles with mental health, the song chooses to scream back against the pain rather than wallow; This is the sound of an artist fighting back, refusing to settle and giving everything she can, with the buoyant guitars matching her emphatic delivery. "The concept of the video is balancing the sane and what I'm told are "insane" parts of my brain and how I think you need a balance of the 2 to really make it in this life. I need the bunnies in my brain and the wild parts of me that send me into the black holes and I also need the self care routine and to know when I've gone too far into space aka allowed my mental health issues to get the best of me. I couldn't be me without both of these sides, but both sides in their extremes are negative. Somehow we have to meet in the middle, dance and laugh and be free and full of love. Hope you relate." Kate had a massively successful year in 2017, with her UK Made of Bricks tour and her game changing performance as Rhonda in Liz Flahive (Homeland), Carly Mensch & Jenji Kohan's (Orange is The New Black) Netflix comedy series GLOW. Now, Kate Nash is undoubtedly back, with an upcoming US tour that starts on April 4 in Vancouver. Go to www.katenash.com for tickets and more details.